Concrete has a high, compressive strength meaning it can withstand vertical forces. 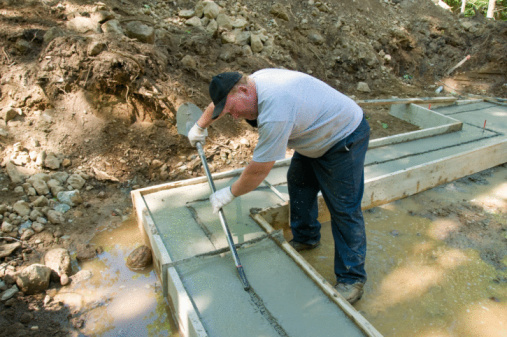 However, concrete is a very brittle substance and possess a low tensile strength or resistance to horizontal forces such as expansion or contraction. To increase tensile strength, concrete can be reinforced with Fibermesh or rebar. Conctractors lay rebar in a grid pattern before pouring concrete. Fiber-reinforced concrete uses Fibermesh, a proprietary additive, to increase tensile strength limit or prevent cracking. Small particles of synthetic or steel fiber are blend into the concrete mixture. These fibers uniformly mix throughout the concrete and align in no particular direction. When concrete shrinks or expands causing cracking, the crack has a limited distance over which it can spread before reaching a fiber, preventing the crack from growing. 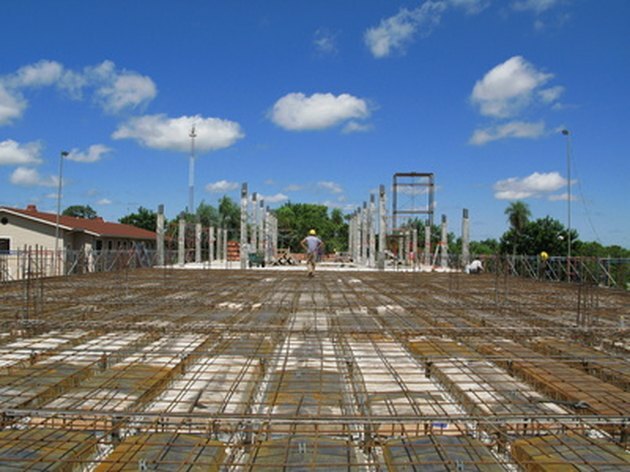 Steel-reinforced concrete uses rebar set in a grid pattern to provide inner strength to concrete slabs and columns. The rebar is suspended in approximately the center of the concrete. When concrete begins to crack, the rebar acts to hold pieces together but does not limit the spread of the crack since the rebar can only provide strength at the mid-level or center of the concrete. Fibermesh is a lower cost, labor-saving option for concrete reinforcement. Unlike rebar which must be set precisely before concrete can be poured, Fibermesh pours with the concrete saving time, as well. Overall, according to Propex Concrete Solutions (which manufactures Fibermesh), Fibermesh can be used in residential, commercial or industrial applications as the primary form of reinforcement without a rebar skeleton.